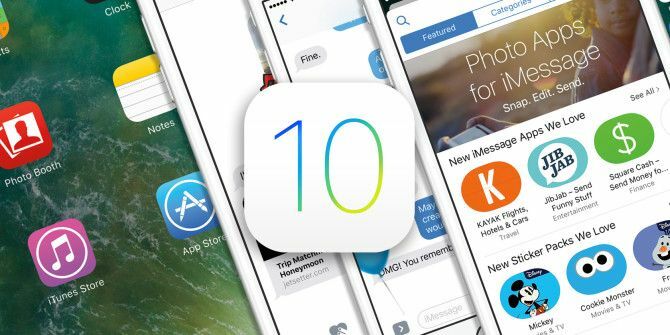 iOS 10 has brought with it a lot of changes and functionality to iPhone users How to Use All the New Messages Features in iOS 10 How to Use All the New Messages Features in iOS 10 With the arrival of iOS 10, Apple's Messages app received its single biggest update since its introduction. Read More , but one of the more annoying features comes in one aspect of the new iMessage features How to Use All the New Messages Features in iOS 10 How to Use All the New Messages Features in iOS 10 With the arrival of iOS 10, Apple's Messages app received its single biggest update since its introduction. Read More : stickers. Think of them as oversized emojis that you have to install on your phone in order to send them. Unlike emojis, they can also overlap text and images in your iMessages app. Luckily, if you’re getting annoyed by the stickers your friends are sending you, you can delete them. If you’re still interested in sending and receiving stickers, you can install packs from the iMessage App store. Do this by opening up a new message and tap the App Store button. In the bottom right-hand corner, tap the button with four circles and tap the Store button with a big blue plus sign. This will open up the iMessage App Store where you can see all the free and paid apps or sticker packs specifically designed for use within the iMessage app. Already sick of stickers and want to delete the images that have been sent to you (or even the ones that you have sent), go to the message, tap and hold the sticker until a menu comes up. If the sticker has been sent as an individual message, just tap More, and select the sticker as you would any individual message you want to delete from iMessages. If the sticker is placed over text or images in your conversation, the method is slightly different. If you use the method above, you’ll just delete the sticker and the message it was placed over. If you want to hang on to the text message and delete the sticker, tap and hold the sticker until a menu comes up, and select Sticker Details. This will open up a separate window with the time the sender’s name, a timestamp, and a link to the sticker in the iMessage App Store. Swipe to the left, and you can delete that individual sticker. What do you think of iMessage stickers? Awesome or annoying? Let us know in the comments.